The start of a new year is a great time to update your wardrobe with some of the season’s hottest looks. Our personal stylists at Scout and Molly’s of Paoli have hand-picked some of their favorite pieces that are sure to make sure you look and feel absolutely amazing throughout 2019. Navigating the world of women’s clothing has never been easier! 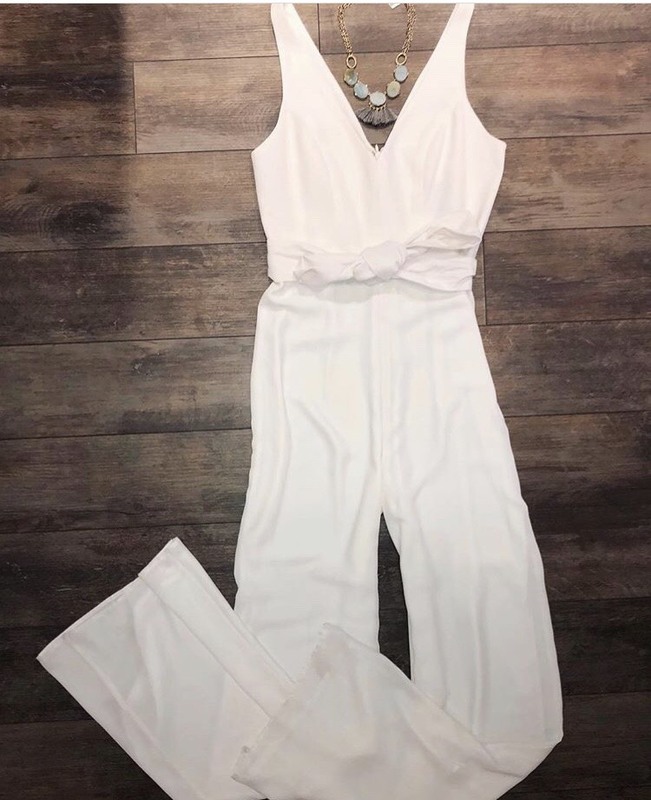 This beautiful Amanda Uprichard jumpsuit in stunning snow white features a plunging neckline and legs that taper closer to the waist to really highlight your feminine features. Show here with a custom gold chain necklace from our local artist collection, this piece is one that absolutely exudes confidence. 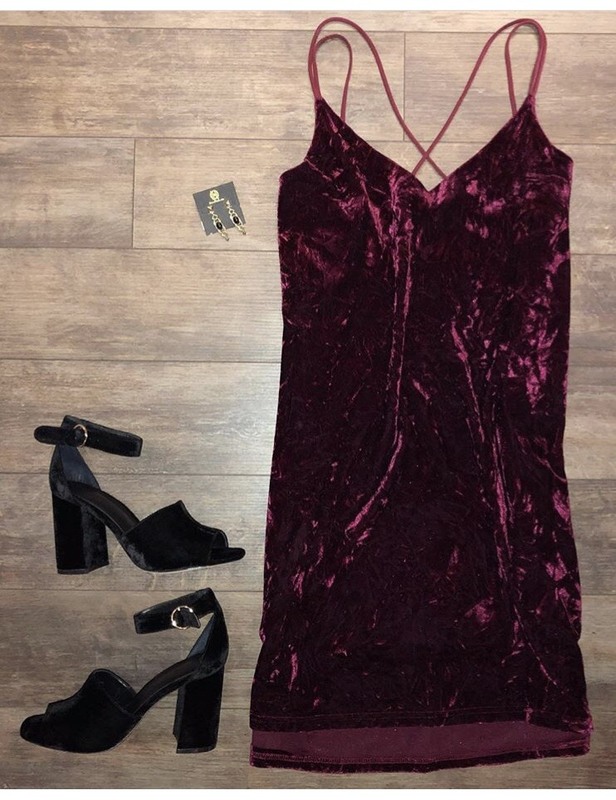 This sultry She and Sky dress in lovely dark maroon velvet is sure to grab the attention of that special someone you’ve had your eye on recently. Fun and flirty in design, this dress is perfect for a first date or a night out on the town with your better half. Pair with simple black Joie heels and gold and black Banx Designs dangled earrings for a jaw-dropping outfit that will have you at the center of attention. Streetwear and athleisure are still going to be big in 2019 and we’ve got the perfect look that is both comfortable and cute. 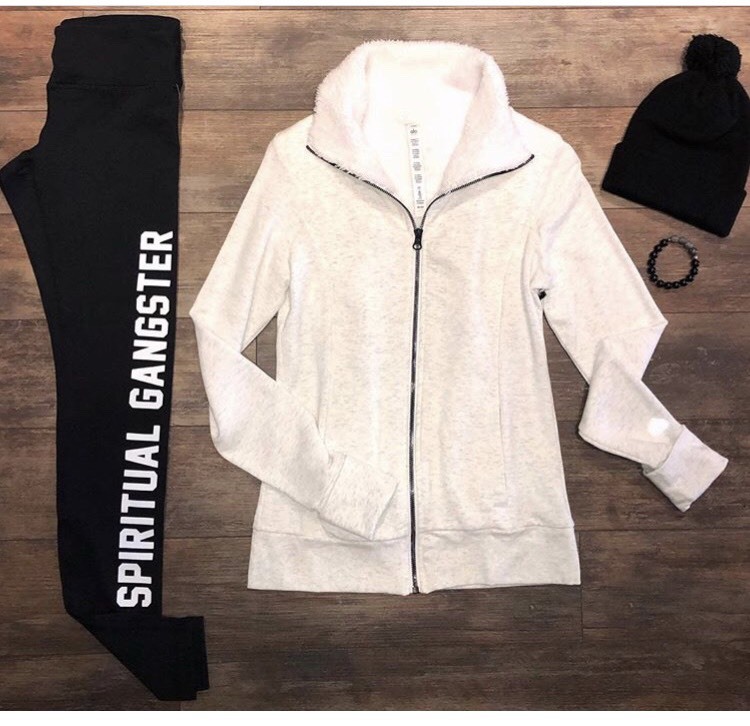 These black fitted Spiritual Gangster leggins and comfy white full zip hoodie from Alo Yoga will keep you warm while you still upkeep your sense of style. Throw on your favorite boyfriend shirt to layer or add in a black pom-pom beanie by Banx and voila! A complete look that is slightly more casual in nature. Regardless of where 2019 will take you, the knowledgable staff here at Scout and Molly’s of Paoli are here to make sure you look good doing it. Come see us today at 82 E Lancaster Ave for free personalized style advice!